Agencies such as DOE, DSCYF, DHSS, DVI, DVR, DDDS, DOL, and more rely on Back to Basic’s outstanding reputation for academic excellence and an unmatched roster of education services to assist some of the state’s most vulnerable populations. Partnering with these state agencies, Back to Basics’ instructors work together to improve the quality of life for Delaware’s citizens, by promoting well-being and fostering self-sufficiency. Translating / Interpreting As a long-standing member of the American Translators Association, Back to Basics is often called on when translating is a necessity for a state agency. Back to Basics offers translation of documents, annual reports, manuals, web pages, and correspondence. Back to Basics’ interpreters can be used during client meetings, for conference calls or to assist visiting foreign language speakers. Translating and interpreting services are available in over 20 different languages and ASL. Adult Learning Back to Basics’ Private Business and Trade School is state-certified through the Delaware Department of Education and offers a variety of essential business and trade courses as part of the curriculum. Courses are conducted 1-on-1 with adult students and are invaluable for those who hope to become gainfully employed or continue their education. Subjects available through Back to Basics include Accounting, ASVAB prep, Basic math, Computer keyboarding, Driver’s Ed manual (standard), English Language Learning (ELL), GED test preparation, Life skills, Microsoft Office software, Praxis test preparation and Writing Skills. Psycho-educational Testing & Bilingual Psycho-educational Testing Back to Basics offers psycho-educational evaluations for children and adults performed by licensed, clinical psychologists on staff in Wilmington, Delaware. Using the most sophisticated measures available, Back to Basics can help maximize a student’s success by analyzing the style in which he/she learns, his/her strengths and non-strengths, and any learning differences. Recommendations will be made to parents and educators regarding the best teaching methods and educational environment for the student to reach his/her full potential. 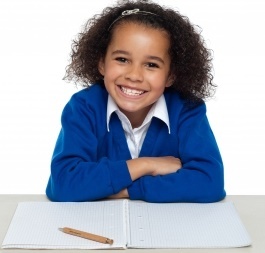 Tests include I.Q., Academic Achievement Level Testing (by grade level and age level), Visual-Motor, Learning Disability and Giftedness Screening, Attention Deficit Disorder Screening, Verbal and Visual Memory, Visual Perception. ELL Services Nothing is more important than communication. State agencies hire Back to Basics to teach English Language learning (ELL) to their clients to help ensure a more successful transition into this country and a job.